Step 1. Declare that some art forms are Haraam, sinful and forbidden by God. Step 3. Hire a new Minister of Culture who proceeds to fire most of the cultural leaders and staff within 2-3 weeks, replacing them with many members of the Muslim Brotherhood who have little to absolutely no experience in arts and culture. (I would love to ask them to produce a single ticket stub from a dance performance or contemporary exhibition). A few days ago, I got a call from a close friend to go to the Ministry of Culture building to bring a change of clothes and a little food. When I got there, I found the place to be guarded and chain-locked. My friends were inside. This was a sit-in. Turns out that the guards were artists. A friend came out to speak on my behalf, as a dancer and fellow artist. Even though I was a foreigner, I was allowed in. My main question was how they all had gotten inside in the first place. How did they come to occupy this massive building, sleeping in the conference rooms, using the desks and computers, making music and temporary murals in the halls? The answer is that the entire staff of the Ministry of Culture who had been fired invited them in, as back-up. Peaceful protest by artists in solidarity. Inside and outside the gates, Egyptian artists have been gathering. Outside the gates, two women have a discussion about the role of arts and culture, and find out they agree. Every evening this week, they have put up a stage and had concerts, poetry readings, child singers, legends and celebrities speaking. It started with an open mic with children singers, music from Aswan, classic instrumentalists, music from the revolution, and patriotic sing-a-longs. 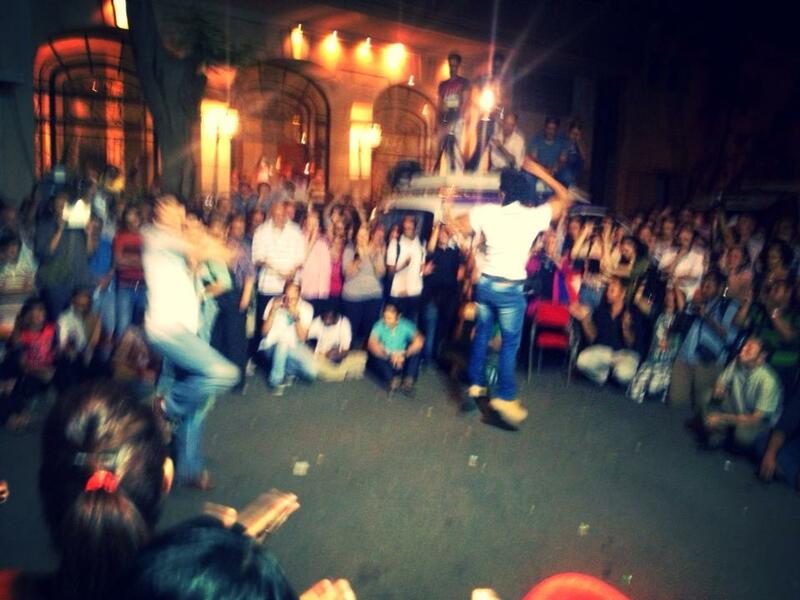 There was even a street performance of Zorba by stars of the Cairo Opera Ballet, who are on strike. 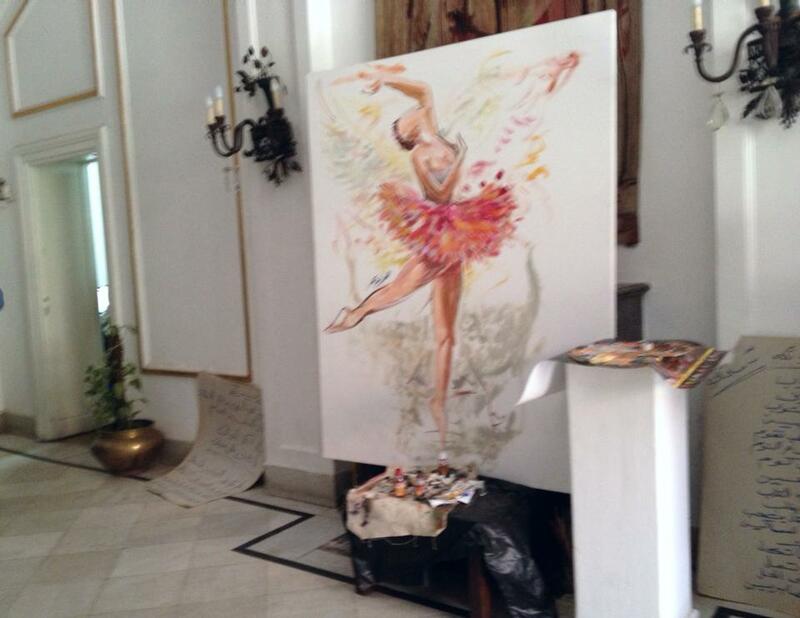 Cairo Opera Ballet in the street. 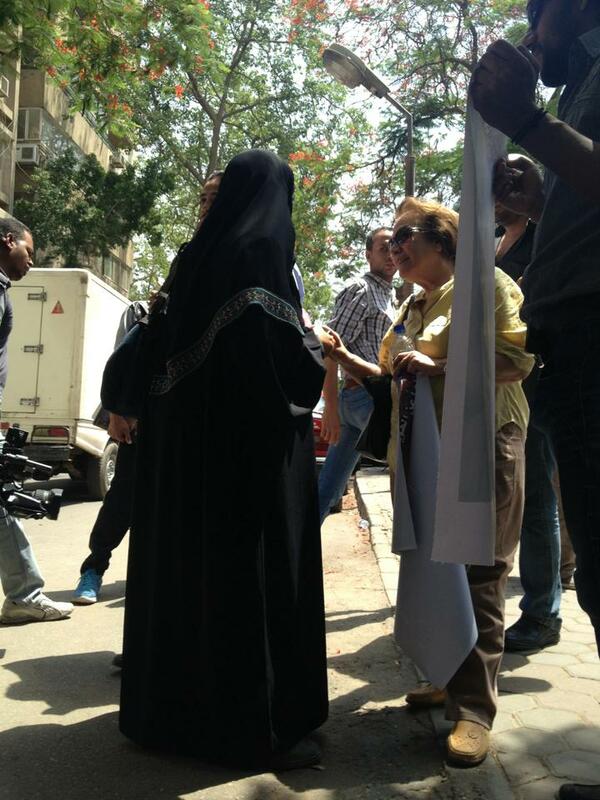 Please note that a large percentage of the artists and protesters are Muslim, liberal and anti-Morsi. Also, most of the activity takes place outside the gates with all property maintained and protected. I have seen very little to no damage. The leaders of the campaign are seniors in the field, established artists and icons, many in their 60s and 70s. Young and old working together. Official, closed meetings are a constant between the different cultural leaders and artist unions. The evening performances are increasingly more organized, but there are many security issues. There was an attempt by myself and groups of Egyptian dance artists to coordinate a flash mob, but that idea had to be called-off, for now. Stay tuned for the next try. We are exhausted and the threats are both ideological and physical. Yesterday, while I was away taking the FSOT and teaching ballet to children, members of the Muslim Brotherhood attacked the Ministry area and police were needed to keep the peace. In meetings with the organizers, I have discovered the artist activists’ hesitation in having any foreigner involvement, the fears of arrests, and the critical need to monitor press. Many of the student artists (my students from the Fulbright experience) are in the mix, in the crowds. I worry not only for the future of the arts, but for their safety. Please wish us well. We will do you proud.